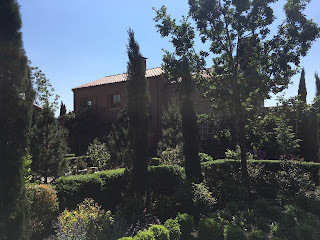 Pulling up to the driveway at Alloro Vineyard, I immediately saw the Tuscan-style farmhouse that houses the winery, barrel room and tasting room. There are striking Italian cypress trees lining the vineyards. Am I in the Italian countryside? Or the Willamette Valley in Oregon? Surprisingly enough, you are in Oregon! This property was founded in 1999 by David Nemarnik, of Italian/Croatian descent, who now lives on the property. We find ourselves in the Chehalem Mountains AVA, which is east of the Coast Range. Soils here are a combination of: Jory (volcanic red), marine sediment, and loess (sedimentary sand and silt). Laurelwood, also one of the sub-soils, could become a new AVA soon, as Luisa Ponzi is spearheading that movement. “Alloro” means laurel in Italian. The name comes from the winery’s location on Laurel Ridge and also for the Laurelwood sub-soils in the vineyard. 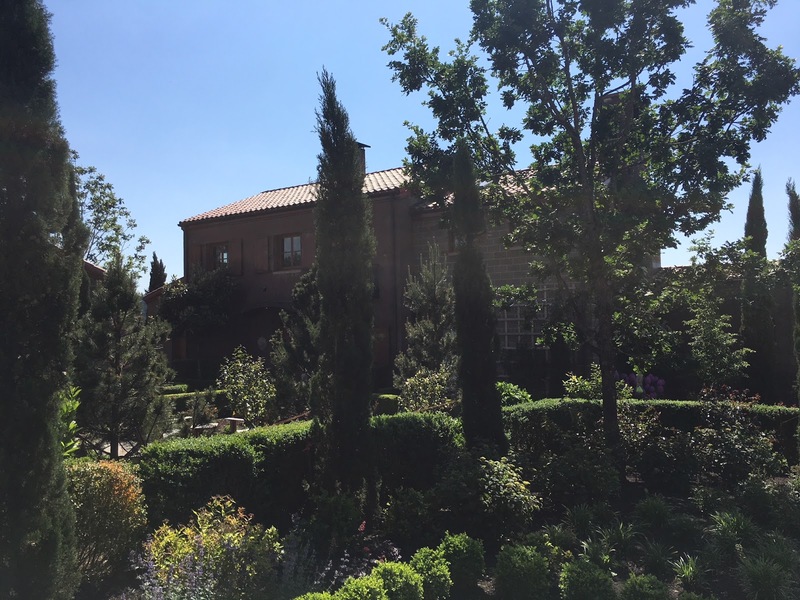 The estate is 110 acres, with 34 acres planted to vines. All wines are estate, single vineyard with an annual case production around 2.5K-3K cases. They currently sell half of the grapes they grow. 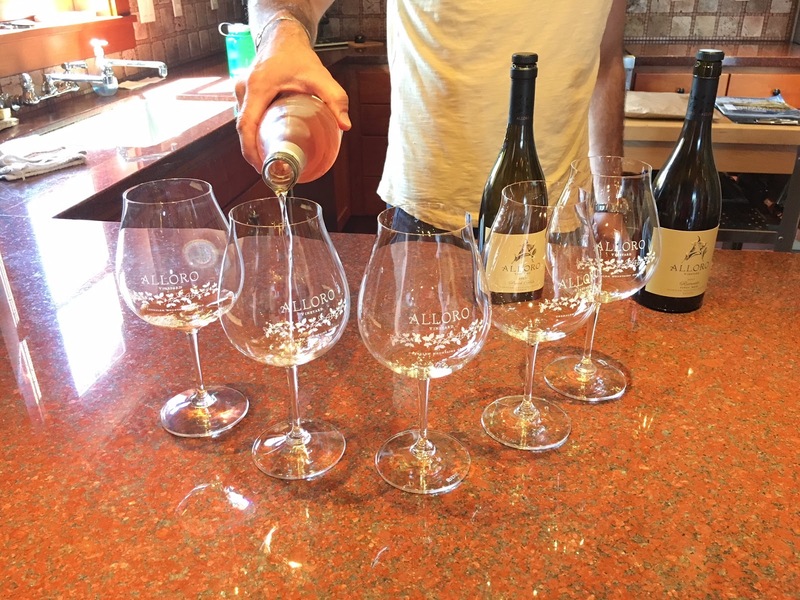 Overall the goal at Alloro is to make low-intervention wines using sustainable and holistic agricultural practices. The vineyard is dry farmed and L.I.V.E and Salmon-Safe certified. Solar panels generate all the electricity needed for the estate and they’re still able to credit power back to the grid. There is a culinary garden onsite and both heirloom sheep and Hereford cattle are reared on the property. 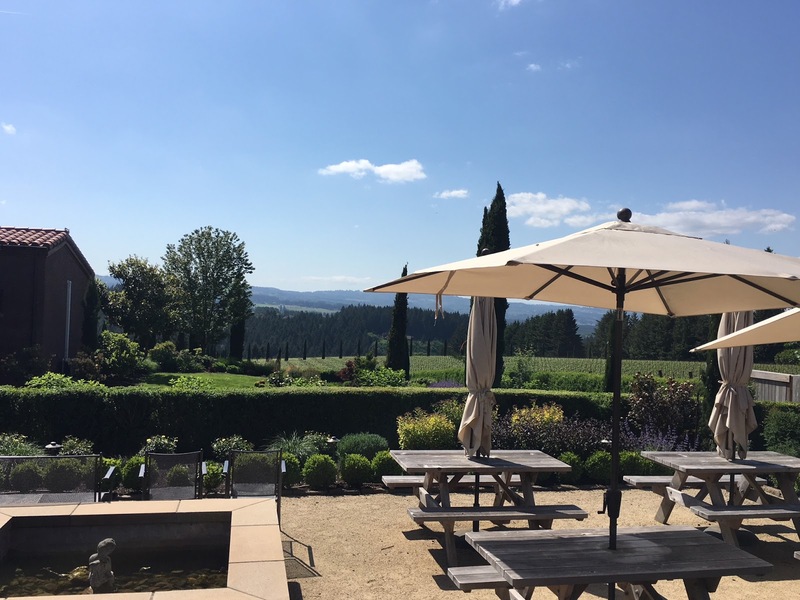 Every September they host the Whole Farm Dinner, with foods prepared by a local chef to celebrate the estate’s harvest of lamb, eggs, olives, chestnuts, figs, vegetables, and wine. Typically, 90% of the ingredients used at this dinner were grown on the estate. Tom Fitzpatrick has been at the helm of Alloro winemaking since 2010. 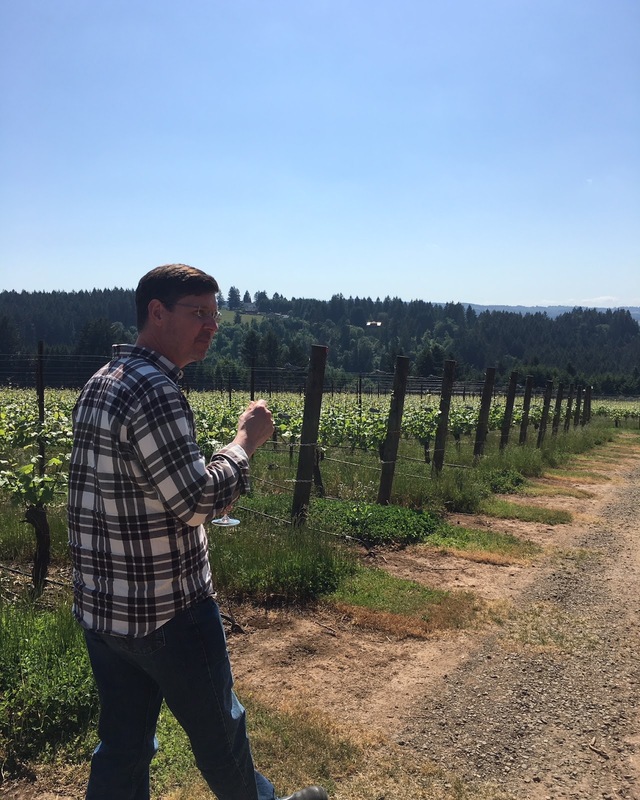 He grew up in Chicago, moved to Seattle as an adult, and then proceeded to make wine in New Zealand, Napa, and then Burgundy, before arriving in Oregon in 2007. 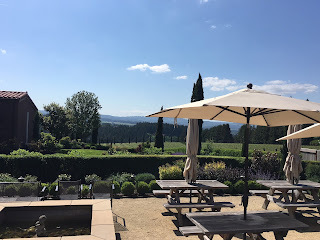 Since arriving at Alloro his wines have been selected to be a part of the prestigious IPNC (International Pinot Noir Celebration) four times, including this year! In fact, the IPNC starts TODAY in McMinnville, OR. We spent some time with Tom tasting through their portfolio and walking through the vineyards. Tom’s demeanor is one of deliberate intention. He’s not one of those “artist types” who speaks better to the vines than to people. He is quiet and thoughtful in how he communicates, and you get the feeling that is also his approach with winemaking: deliberate, intentional, and controlled. According to Tom, this is a single site, so his focus is on capturing the personality of this site in their wines. Tom continued: I love vintage variation. I want the wines to look like the year they came from. His goal is to make graceful, elegant wines with a sense of place. If this isn’t an example of honest, regional wine, I don’t know what is. The Alloro portfolio includes: three Pinot Noirs, Chardonnay, Riesling, Rosé of Pinot Noir, and their Vino Nettare (dessert wine). The tasting room is open Thursday thru Monday 11am – 5pm. There is both indoor and outdoor seating. This wine was just bottled when I tasted it and is under screw cap. Notes of: citrus (lime), green fruit (pear), stone fruit, tropical fruit, and white flower (jasmine). Also, a slight honeyed note. Something different for the Willamette. This wine made it to the Wine Enthusiast Top 100 List. Read more HERE. I get juicy red/blk fruit, specifically black cherries, baking spice (cinnamon, clove, nutmeg), and floral (rose). Pleasing AF! I get this wine. This is the best more value priced Pinot Noir I have had in awhile. This wine has a minimal oak footprint (though there is some new French oak) and was meant to showcase terroir. This wine has more weight and fullness than the Estate Pinot Noir and is all about texture. Predominantly red fruit with lots of spice on the finish. The wine is composed of special barrel selections blended with higher proportions of oak. This makes sense as in Italy, wines with extra aging (usually in oak) are called “riserva”. This is made in the Icewine style. The juice is frozen solid, drains itself, and is then fermented. Muscat makes up ⅔ of the blend and Riesling makes up the other third. I get citrus, stone fruit, tropical fruit (pineapple), floral, and smoke/petrol.